Election Day is May 7. Ballots will be mailed April 15. Vote No on 300. 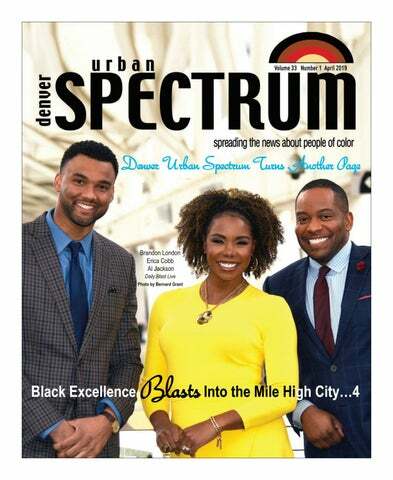 The Denver Urban Spectrum is a monthly publication dedicated to spreading the news about people of color. Contents of the Denver Urban Spectrum are copyright 2019 by Bizzy Bee Enterprise. No portion may be reproduced without written permission of the publisher. The Denver Urban Spectrum circulates 25,000 copies throughout Colorado. The Denver Urban Spectrum welcomes all letters, but reserves the right to edit for space, libelous material, grammar, and length. All letters must include name, address, and phone number. We will withhold author’s name on request. Unsolicited articles are accepted without guarantee of publication or payment. Write to the Denver Urban Spectrum at P.O. Box 31001, Aurora, CO 80041. For advertising, subscriptions, or other information, call 303-292-6446 or fax 303292-6543 or visit the Web site at www.denverurbanspectrum.com. Dream and Promise Act Could Provide A Solution Editor: “For nearly two decades, working immigrant Coloradans who gained an opportunity to live and work in our communities under the Temporary Protected Status (TPS) program have become our neighbors, friends, coworkers and fellow congregants. Unfortunately, just like Dreamers, the lives and future of TPS-recipients in the nation they call home can all be upended. Sadly, the Trump administration terminated TPS and the Deferred Action Childhood Arrivals (DACA) program that protected Dreamers and allowed them the opportunity to study and work. Right now they face an uncertainty, allowed to temporarily remain in the country because of federal court rulings. that he teaches his own three children. “The biggest gift you can give to your kids, rather than taking them to a fancy restaurant, is letting them see an adult who is active in their life and passionate about what they do.” By using humor to communicate and drawing on his vast cross-disciplined knowledge, Jackson is showing audiences that conversations about serious issues don’t have to turn into heated arguments. He is blazing the trail for Black men and women to follow in his footsteps, and tackling tough topics with love and laughter along the way. ••• The gorgeous Daily Blast Live host who stunned the world with an exciting on-air reveal of her natural hair is inspiring women and girls to break down barriers in a bold and beautiful way. Erica Cobb radiates warmth and wisdom on screen and off, with confidence, charisma, and a keen sense of purpose that has won the hearts of viewers from coast to coast. Cobb, a seasoned professional with 15 years of experience working in Chicago, Sacramento, and Denver, constructed her plan for a career in radio at the young age of 12. The Chicago native earned a degree in Communications from DePaul University in 2004, and has maintained a strict focus and tunnel vision while achieving goal after goal on her way to the top. Cobb has refused to compromise her values or integrity, shattering glass ceilings along her journey in the restrictive communications industry. She attributes her unwavering confidence to the support of her loving family, who taught her that she could do anything. “I’ve been very fortunate to have Big Mama and my parents who, although they weren’t told that this was possible, absolutely told me that it was possible,” she says. and London exercise a superb level of camaraderie, inspiring each other and holding one another accountable for the continuation of excellence that has gotten them this far. They relate like siblings, putting each other in check and boosting each other up when needed. This display of authentic unity and on-camera chemistry helps to elevate the Black community, allowing audiences to feel the love radiating from their being. The beautiful display of friendship sets an example for people of all ages, who must work together to climb the ladder of success, in spite of disparities and obstacles in their path. The entire cast of Daily Blast Live panelists offers insightful contributions that make the show a stunning success, and the relationship between Jackson, Cobb, and London represents solidarity within the workplace and a collective responsibility for success within communities of color. Instead of inequitable hiring practices forcing us to be more competitive, we must take advantage of opportunities to reach back and help each other up; there is more than enough room for everyone. Business Starts and Grows at FirstBank. Daily Blast Live is a wonderful program that has been instrumental in supporting the individual interests and initiatives of each host, as well as raising awareness about important issues that are often unrepresented. Collaborative advancement through media representation allows audiences to see that their voice matters, that the topics that relate to them are valuable, and that there is no limit to the possibilities for young people who are interested in careers in journalism and communications. With the introduction of its journalism internship program, Denver Urban Spectrum hopes to open doors for thousands of students to explore the impact of media and offer thoughtful contributions with content that is relevant and important to a younger generation. By creating pathways to successful careers, Harris hopes to increase national media representation on a large scale, with the hosts of Daily Blast Live setting an example for professional excellence in journalism, and personal achievement. .
nationally and collectively with other students pursuing a career in journalism,” says Harris. “As a unit, they will be able to connect communities across the country, sharing and reporting stories about their respective areas.” While the fundamental purpose of journalism and communications is to empower the public with accurate and reliable details about topics that impact their lives and communities, discriminatory hiring practices within these industries have resulted in a lack of representation in media, and subsequently an inequitable distribution of relevant and relatable information. A Newsroom Employment Diversity Study conducted by the American Society of News Editors in 2017, revealed that only 16.6 percent of U.S. newsrooms and 16.31 percent of daily newspapers are staffed by people of color, indicating a slight decrease from the prior year. These disparities can be attributed to low placement rates upon graduation, with less than half of people of color graduating with degrees in journalism or communications receiving employment upon completion (Columbia Journalism Review, 2014). By creating pathways to careers with this resume enhancing internship opportunity, Harris hopes to reverse the trend of media underrepresentation with richer stories, new voices, and fresh perspectives. Interns will have broad latitude in determining the topics covered, and will receive the support of the seasoned Denver Urban Spectrum staff in crafting relevant, newsworthy stories that increase the social capital of communities of color. to listen to riveting interviews with exclusive guests. The Spectrum Talk channel kicked off in March 2019 with an intimate talk with American Idol winner, Ruben Studdard, ahead of his “Ruben Sings Luther” tour dates in Colorado, and will pick up steam in the coming months as Denver Urban Spectrum contributor, Ruby Jones, asks the questions the community wants to know. Recognizing media’s power to shape the social and economic advancement of communities of color, Harris is excited for the expansion of the brand she has worked diligently to establish for over three decades. She remains dedicated to providing strong, positive representations of people of color with a robust body of multimedia services that will capture the attention of people young and old while increasing attention to the brilliant contributions from communities of color that often go ignored by mainstream media. Sponsors are invited to support the expansion of this multimedia venture, maximizing the impact of Harris’ vision and forging relationships with the award-winning publication’s loyal audience. By working collectively to increase positive associations with people of color through media on a national level, the integration of an internship program and expanded multimedia services will ensure the advancement of aspiring journalists and spread messages of encouragement and inspiration to underrepresented communities throughout the United States.. Editor’s note: For more information on the journalism internship program, “Urban Spectrum Vision” or Spectrum Talk, call DUS Publisher Rosalind “Bee” Harris at 303-2926446 or email publisher@urbanspectrum.net. said. “But no amount of paint can conceal this problem. It will always be there and it will never be the same.” To date, no one has been charged with this crime and the larger question becomes how do we address the issues of racism and bigotry that exists within communities of color? And does today’s national political climate contribute to the problem? A recent Pew Research Center study reveals that minority communities are feeling the effects of blatant discrimination. Meade says that she hopes that her and her family’s experiences will promote change and educate the community at large on the harmful effects of racial prejudice. “We continue to pray for peace,” she said. “We are determined to do everything we can so that racism doesn’t win this time.”. We look forward to seeing you 琀ere! Come get your questions answered! elcome to part three of the five part Denver Urban Spectrum series: “Our 400 Year American Sojourn” A Chronicle of Pain, Suffering, Struggle, Resistance and Ultimate Triumph. In parts one and two, Alfonzo Porter and Ruby Jones scribed magnificently about 1619-Emancipation and Reconstruction, respectively. Ushering in the next chronicle of our history is the Jim Crow era. An era best defined by pain, suffering and struggle. gavotte about like a buffoon to the delight of White audiences in the United States as well as overseas. Because of his performances, Rice obtained a significant amount of popularity domestically, especially in the south where his comedic pejorative, “Jim Crow” went from being tongue and cheek to the law of the land. The Plessy v. Ferguson verdict enshrined the doctrine of “separate but equal” as a constitutional justification for segregation, ensuring the survival of the Jim Crow south for the next half-century. In 1890, the state of Louisiana passed the “Separate Car Act,” which required separate accommodations for Blacks and Whites on railroads, including separate railway cars Homer Plessy, the plaintiff in the case, was seven-eighths White and one-eighth Black, and had the appearance of a White man. On June 7, 1892, he purchased a first-class ticket for a trip between New Orleans and Covington, La., Plessy took possession of a vacant seat in a White-only car. He was arrested and imprisoned; Plessy was brought to trial in a New Orleans court and convicted of violating the 1890 law. He then filed a petition against the judge in that trial, John H. Ferguson, at the Louisiana Supreme Court, arguing that the segregation law violated the Equal Protection Clause of the Fourteenth Amendment, which forbids states from denying “to any person within their jurisdiction the equal protection of the laws,” as well as the Thirteenth Amendment, which banned slavery. The court ruled that, while the object of the Fourteenth Amendment was to create “absolute equality of the two races before the law,” such equality extended only so far as political and civil rights (e.g., voting and serving on juries), not “social rights” (e.g., sitting in a railway car one chooses). The lasting vestiges of the Jim Crow era included numerous images of well-kept segregated restaurants, hospitals, and schools with “Whites Only” signs plastered everywhere. These photographs were often juxtaposed against “Colored Only” signs that hung above pictures of by comparison and were little more than spigots and shacks. While viewing the images is painful in and of itself, rarely do we ask how those structures came to be. Like most things in America, they were built on the backs of African Americans. It is a well-known but seldom discussed fact that Black people rebuilt the postwar south through convict leasing. beautiful, Black people. Writing this section of the piece made my heart and eyes weep with deep sorrow because if history has taught us anything, it is that society views Black people as nameless, faceless and disposable. The only thing those socalled convicts were guilty of, was being Black in America – which ultimately cost them their lives. One of the hallmarks of Jim Crow era was the physical oppression of White people viewed it as their God given duty to keep “Blacks in their place” using violent action. The physical oppression was part of a multi-pronged attack to ensure socioeconomic suppression amongst the African American community. In a capitalist society economic independence, especially by a minority group represents a threat to those in power. During the Jim Crow era, White people were willing to scorch the nation to keep Blacks from economic independence. from White society. That changed dramatically during Memorial Day weekend in 1921. A race riot erupted, one of the most violent and destructive in American history. The entire community was burned to the ground in two days’ time. An estimated 300 African Americans lost their lives in the riots and about another 10,000 were left homeless, and property damage amounted to more than $1.5 million in real estate and $750,000 in personal property ($32 million in 2019). age done to the African American community from Jim Crow laws. The era was a multiphase physical and socio-economic attack; from housing to education to economic independence. Jim Crow laws sought to dehumanize, disenfranchise and immobilize Black people in America. But it didn’t work, undeterred by obstacles, and through pain unparalleled the African Americans of that era soldiered on, coping and adapting to survive. Whether it be 1619 or 2019 every era of our sojourn is threaded together by our collective resilience. .
Summer of 1919 where several race riots erupted in Chicago and Washington DC destroying several prominent, thriving African-American communities in the process. Jim Crow lives on “Any law that degrades human personality is unjust. All segregation statutes are unjust because segregation distorts the soul and damages the personality. It gives the segregator a false sense of superiority and the segregated a false sense of inferiority.” —Rev. Dr. Martin Luther King, Jr.
anky Tanky will bring to Colorado a fresh take on traditional American folk music on Friday, April 26 at the Lone Tree Arts Center. Loosely translated as “Get Funky!” or “Work It,” Ranky Tanky is a band of South Carolina natives who keep the Gullah music tradition alive and fresh with a repertoire of playful game songs, heartbreaking spirituals, and delicate lullabies. “Gullah” is a West African word meaning “a people blessed by God,” and is a storied culture prevailing on the Sea Islands of South Carolina’s low country. demand jazz quartet on the Charleston scene in the late 1990s before splitting off to each make their way as freelance musicians, working with names like Houston Person, Freddy Cole, Cyro Baptista, and René Marie. Gaining years of valuable experience while developing a deeper appreciation for the South Carolina Gullah tradition they came from, the band reformed with the dynamic vocalist Quiana Parler to celebrate the bone-deep mix of spirituals and gutbucket blues that mark the low country mainland and Sea Islands – music made by a self-contained culture of descendants of enslaved Africans that introduced such indelible parts of American songbook as “Kum Bah Yah” and “Michael Rowed the Boat Ashore.”. Editor’s not: For more information or to purchase tickets, visit www.lonetreeartscenter.org/rankytanky. Paul Hamilton decided not to seek reelection for House District Eight in 1972. I was the first to announce my candidacy. “I’m tired of seeing the same kind of candidates year after year making the same kind of promises that aren’t kept,” I said in my announcement speech. “Black people don’t need that kind of representation.” At the time, I had a goatee and an Afro and wore a black medallion around my neck. My campaign literature included: “We have been divided too long. We need community action through political power. United, we have that power.” A fundraiser dance took place on July 15, 1972 and I asked for a $2.50 cover charge as a donation for my campaign. I remember introducing Wilma and other political candidates at the fundraiser. I forgot to mention my grandmother, Helen Williams Gamble, who was active in local politics and was my mentor. “Don’t ever forget to introduce your entire family, and specifically me,” she scolded. That never happened again. I won the election by 5,997 votes. During my first term, I was fortunate to be elected by my legislative peers to serve as House Democratic caucus chair. In my second term, Ruben Valdez, the first Latino Speaker of the House, appointed me as chairman of the Health, Environment, Welfare and Institutions Committee. Holding both leadership positions was unheard of at the time, and still doesn’t happen much. The Democrats were not the majority in the House my first term, so getting bills passed was nearly impossible. I made my first attempt to get a bill passed that endorsed the federal holiday for Dr. Martin Luther King, Jr. Later, I would unsuccessfully try and get support for a state holiday recognizing Dr. King. That battle would be taken up by Wilma years later when she was elected to the legislature. My second term was different. The Democrats took back the majority of the House and elected a Democratic governor, Richard Lamm. While I supported Lamm, I and others were upset he had not appointed any African American to his cabinet. (Sadly, only one black is serving in Gov. Polis’ cabinet in 2019.) A group of legislators - Arie Taylor, Rich Castro, Paul Sandoval, Regis Groff – along with Denver City Councilman Bill Roberts, Wilma and our friend, Dan Muse – protested by walking out of Lamm’s inauguration. We raised money for a fullpage ad in the Rocky Mountain News to explain our actions. But having a Democratic majority allowed me to tackle some important discrimination issues. and then I’ll go away.” More than 300 people showed up for one hearing on the adoption bill, and the majority of the speakers accused me of trying to destroy families. I got my first death threat because of that bill, which was also opposed by the newspapers and died quickly. 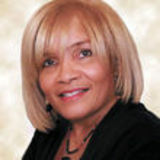 Thirty years later, Representative Fran Coleman, herself adopted, introduced a bill during the 2005 session to allow adopted children access to their parents’ medical records. stituents to meet with me, which was eventually closed due to the lack of operating money. Bills for the poor: I successfully sponsored several bills that protected the poor, including: •HB-1340, which established a state program for persons who are needy, blind, elderly, or disabled and do not qualify for the federal Supplemental Security Income act. •HB-1310, which protected people who received more that the correct amount of public assistance from having to repay the money if the additional money was given by no fault of the receiver. •HB-1405, which provided additional funding to the City and County of Denver to support its welfare programs. The bill also raised the amount of money provided for funerals and burials for indigent people. Health Bills, including: •HB-1112, which mandates that insurance companies offer group insurance benefits for the treatment of alcoholism. •HB-1437, which required health insurance policies cover complications of pregnancy or childbirth for all women, regardless of marital status. Call today for a free consultation! Registered Representative for NYLIFE Securities LLC (Member FINRA/SIPC), a Licensed Insurance Agency. Financial Adviser for Eagle Strategies LLC, a Registered Investment Adviser. situation in her community is one of her primary focus points. ••• Incumbent Albus Brooks of District 9 includes some of Denver’s oldest Neighborhoods such as Globeville, Elyria-Swansea, Five Points, Cole, Clayton, Whittier, Curtis Park, and City Park. Brooks cosponsored (along with city council) an Affordable Housing Fund; a set of fees and taxes that is predicted to raise $150 million in 10 years. This represents the most significant housing fund in Colorado. Brooks is trying to balance growth and preserving culture in a district that is the most diverse. He campaigned under the motto, “Connecting Diverse Communities.” His mandate is popular; in 2011 he defeated 38 opponents in a write-in campaign and won 68 percent of the vote in the 2015 election. Candi CdeBaca, the founder of the Cross Community Coalition, is running against incumbent Brooks. CdeBaca’s attitude towards gentrification and the affordable housing crisis can be summed-up best by her statement, “We try to teach them (students): you don’t have to do well so you can get out of the hood. Do well so you can take over the hood. This is your in-heritage, this is rightfully yours.” If she wins the seat, CdeBaca will make history by being the first LGBTQ Latina to represent Denver on the council. ••• Incumbent Chris Herndon has represented District 8 for seven years as council president and council president pro-tempore. His efforts in his leadership role included advocating for housing support at all income levels. $1,502.127.41 as of March 5. His nearest opponent, Jaimie Giellis has raised close to $400,000 as of March 5. Hancock can point to many accomplishments during his times as mayor, including a thriving economy, improvement in transportation, modernizing city services and eliminating a $100 million budget deficit in the process. Voters will have to listen very carefully. They will need to investigate, probe and research to make an informed decision. Local elections are where the rubber meets the road. The significant changes that need to happen start in our neighborhoods and spreads out to the national level, not the other way around. Voting participation has increased due to a fired-up politicized population. There is a certain level of dread and desperation that is permeating the nation. However, if substantial changes are going to be made for the national political climate, it has to start with our municipal elections. .
nities committed to breaking the silence of their own recent histories and leading the way to justice. When interviewed about the film and asked what she wants people to think about after viewing it, Olive said, “Ideally, audiences will leave fueled by their emotions to have discussions on the way out of the theater. These dialogues can lead to relationships that, with enough compassion and commitment, have enormous potential to develop into greater coalitions of people doing the work of ending the systemic racism that we all share a responsibility in.” This is just one of 15 thought-provoking, empowering and investigative films to premiere during the six-day Women+Film annual festival, showcasing stories from the lens of women directors from around the world including Emmy-winning filmmaker Abigail Disney, grandniece of Walt Disney. The film festival is sure to inspire all audiences – both male and female – who attend any of the scheduled shows. In addition to the films, the Sie FilmCenter will host a series of special events including a conversation with Gretchen Carlson, who will sit down with the Women’s Foundation of Colorado’s CEO and President, Lauren Casteel to discuss her documentary Breaking the Silence, which uncovers and shares the untold stories of sexual harassment and abuse. Casteel has moderated important conversations with many prominent women including former First Lady Michelle Obama, award-winning actress Octavia Spencer and American Ballet Theatre principal dancer Misty Copeland. . Editor’s note: Tickets for the Women+Film Festival are available at www.denverfilm.org or can be purchased at the Sie FilmCenter box office. measures to increase wages for our workers, as well as advocate for their passage. I’m prouder still that our city was able to take this step to create fair wages here in Denver. I want to thank City Council for their vote of support tonight on this vital measure, our city team who helped craft this proposal and our partners at UNITE HERE and SEIU Local 105 for standing with us to ensure Denver remains inclusive and affordable for everyone.” On March 7, the city’s Career Service Board voted unanimously to move the $15/hr. minimum wage for city employees on for consideration by City Council. City Council’s Finance & Governance Committee will take up the city employee proposal on March 19. Last week, Mayor Hancock testified in support of HB191210, the proposed Local Government Minimum Wage bill, at the State House Transportation & Local Government Committee.. Tune in to Denver 89.3FM, Breckenridge 89.7FM, Vail 88.5FM or download our app today and listen anytime, anywhere. Warning: Prepare yourselves. The Stan Lee cameos in Marvel’s latest outing, Captain Marvel will make your eyes tear up. So bring Kleenex, or your favorite facial tissue. OK, you’ve been told. That being said, Captain Marvel does not disappoint in terms of leading you into the much anticipated Avengers: End Game, which debuts in a month. But before that happens, the movie answers several questions that have been left lingering in the Marvel universe ever since these films started a decade ago. We find out how Nick Fury (Samuel L. Jackson) lost his left eye. And it’s in a fashion that most wouldn’t think, and for that matter, CGI took 30 years off of Jackson’s appearance. He looks so fantastic that you forget that his features are computer enhanced. audiences will root for her. However, in comparison to Gal Gadot in Wonder Woman (’17), she lacks the maturity and presence of Gadot. The filmmakers thankfully didn’t spend a lot of time laboring over Danvers’ origins. In a series of flashbacks, we discover Danvers is a fighter pilot who was exposed to an alien explosion that zapped her memories and gave her superhuman strength. To the film’s credit, there is a plot twist and a storyline among all the usual special effects and the busy Marvel eyecandy. Cat lovers will love Goose the cat, who pretty much upstages everyone and saves the day. Marvel’s first female led film is a solid entry into the MCU universe, and is ushering in a new phase of Marvel movies. And of course, there are the usual after credit scenes, so stick around for the five minutes of rolling credits. We sometimes get caught up with the big names in history, and we forget the names that are associated with them. Bonnie and Clyde were well known as bank robbers who grew a fan club of poor people, because the two of them robbed banks. People who were suffering under the depression saw them as heroes. The two men who were tasked with tracking and bringing a stop to their run were never really known. After two years of failing to capture Bonnie and Clyde, Governor Ma Ferguson (Kathy Bates) hires retired Texas Rangers Frank Hammer (Kevin Costner) and Maney Gault (Woody Harrelson) as Highwaymen to do whatever it was needed to end Bonnie and Clyde’s reign of terror. This film captures Hammer and Gault’s story completely. We rarely see Bonnie and Clyde as they are just siding characters in this tale. They only make brief appearances. This is an excellent way of telling the story. It provides us with a frame of reference, so we can learn about Hammer and Gault and the Rangers in an engaging way. These are men who have had a hard life, and doing ugly things that at the time needed to be done to keep the peace and protect the people of Texas. PAFF’s Best Short Film award for Precipice. “I have been here quite a few times before. This festival has been very supportive of my work and I am happy to have been able to come to America and share this feature film, and world premiere it here at PAFF,” said Amedume whose credits include The Phone Call which screened at PAFF in 2003. Fifty-two narrative features, 24 feature-length documentaries, 87 short narratives and 30 shorts from 38 countries in 28 languages were screened at the festival which kicked off in February with a screening of Aretha Franklin’s rare concert documentary, Amazing Grace. PAFF’s Best Narrative Feature went to Storm Saulter Helmer’s Sprinter, a Jamaican drama about a high-school kid with aspirations to become a first-class world athlete while Melissa Haizlip’s Mr. Soul! received the Best Feature Documentary. The PAFF Programmers’ Award – Narrative Feature went to the Nigerian drama Lara and the Beat directed by Tosin Coker and Ali’s Comeback: The Untold Story received Best Documentary Feature. Other PAFF award winners included Best First Feature Narrative which went to director Adisa’s Skin in the Game, a film which explores the underground world of human trafficking..
9Health Celebrates 40th Anniversary of Health in Colorado 9Health Fair celebrates 40 years of providing Coloradans access to preventive health screenings and education with 100 health screening locations across the state this month. Each health fair offers affordable lab screenings, and many locations offer additional health screenings at no cost such as hearing, vision, body mass index and more. This year, 9Health will offer two new screenings, High Sensitivity C-Reactive Protein (heart health) and Blood Type along with its standard offerings. Health care professionals are on-hand to offer assistance and advice. Each 9Health Fair also offers a variety of free screenings such as blood pressure, breast exams, prostate/testicular, oral, hearing, foot, skin and more. 9Health Fair locations, times and screenings can be found at 9HealthFair.org/healthfairs/find-a-fair. employee ownership center offers workshops on how to set up a workers’ cooperative, including how to write a business plan, licenses needed and how to market a business. Kirton has more than 40years of experience in community-based, organizational development and is a founder of the Interfaith Alliance of Colorado. Vinson, who is also president of Colorado Black Women for Political Action, brings knowledge and skills in business development, marketing and consulting from fiveplus years in the venture capital industry. For more information, visit www.montview.org. Women’s Visions Presents Prophets Call Conference The New Life Beginnings Ministry will be hosting a free two-day conference on Saturday, April 20 from 10 a.m. to 2 p.m. and on Sunday, April 21 from 9 a.m. to 1 p.m. at the DoubleTree By Hilton at 3202 Quebec in Denver. This event will aide to support the homeless with food and clothes and a location to go to for assistance, prayer and peace in partnership with Denver Rescue Mission. To register, visit www.eventbrite.com/e/a-prophets-calltickets-54802368359. museum and cultural center and the Denver Public Library main branch in downtown Denver. The book signing will be held on Saturday, April 27 from 1:30 to 4 p.m. at the Blair Caldwell African American Research Library, 2401 Welton St. in Denver. For more information, email definingthetime@gmail.com. The Black Educator’s Network Literacy Festival Celebrates Its 6th Year The sixth annual Black Educator’s Network Literacy Festival, a family event that integrates literacy, leadership, science, technology, engineering, art, math and music will be held on Saturday, May 4 from 8:30 a.m. to 12:30 p.m. The festival will include interactive activities and sessions for the entire family. Secondary students are invited to tour the campus and residential housing. There will be free books, raffles and a continental breakfast in the University of Colorado Colorado Springs Dwire Hall at 1420 Austin Bluffs Parkway in Colorado Springs. For more information, email, Theresa Newsom at mstnewsom@comcast.net or BlackEducatorsNetwork@gmail .com or call 719-282-0194. This Land is Our Homeland Celebration This Land is our Land will be held on Saturday, June 1 from 3 to 6 p.m. at Rising Star Missionary Baptisit Church gymnasium, 1500 S. Dayton St. in Aurora. This pastor’s aid ministry will celebrate people from all over the world with an afternoon of food tasting, performances, prizes, fun and fellowship. Donations are $20 for adults; $10 for children 12 and under. For more information, call Fairy Hanley at 303-261-5086 or Cora Hampton at 303-550-5088.
Letters To The Editor Comtinued from page 3 children, many of the more than 300,000 TPS holders have lived in the United States for decades and have strong community ties. Of the 1,400 TPS holders in Colorado, 1,600 U.S.born children depend on them. These families are facing impossible circumstances where parents must decide between being separated from their children or taking them to countries that are facing extreme violence, dangerous conditions, and lack of resources. This isn’t a decision they should have to make after decades of contributing to our communities. Having been witness to the pain of these harsh realities, I know firsthand the toll this takes not only on families, but the people around them — from the caring neighbor to the employer. It’s time for our legislators and leaders to come together and provide the relief these hardworking families have been hoping for by passing the Dream and Promise Act. Festival on Saturday May 18. The Denver Botanic Gardens welcomes Ziggy Marley on July 1 and Michael McDonald on July 18. The Double Vision Revisited tour, presenting the legendary Bob James (who is still jammin’ at age 80) and David Sanborn with Marcus Miller, will perform in a rare Monday evening event on August 5. And while we’re at it, Winter Park presents the 37th annual jazz festival on July 20 and 21 at the Rendezvous Event Center. Saturday’s headliners include Kirk Whalum; the Sax Pack with Jeff Kashiwa, Kim Waters and Steve Cole; and R&B group Boys II Men. The Sunday line-up includes the Dave Koz Summer Horns Tour with Koz, Gerald Albright, and Rick Braun; multi-talented vocalist Kenny Lattimore; saxophonist Darren Rahn, and Adam Hawley and Marcus Anderson performing as a duo. Additional performers will round out and complete both days. Look for summer events coming in upcoming Denver Urban Spectrum issues. Until then, its live performances this spring – theater and music heaven!. Editor’s note: Adam hosts Smooth Jazz Saturday from 8 to 10 p.m. on KUVO Jazz 89.3. He will also host the multicultural musical theater special “Jazz in the Footlights” on June 8 before the Tony Awards.